Going anywhere is in your off-road blood; now you can have a gear bag that mirrors those traits with the latest offering from OGIO®. The big 9800 gear bag has become the industry standard for off-road gear thanks to a long list of innovative and engineered features designed specifically for powersports. 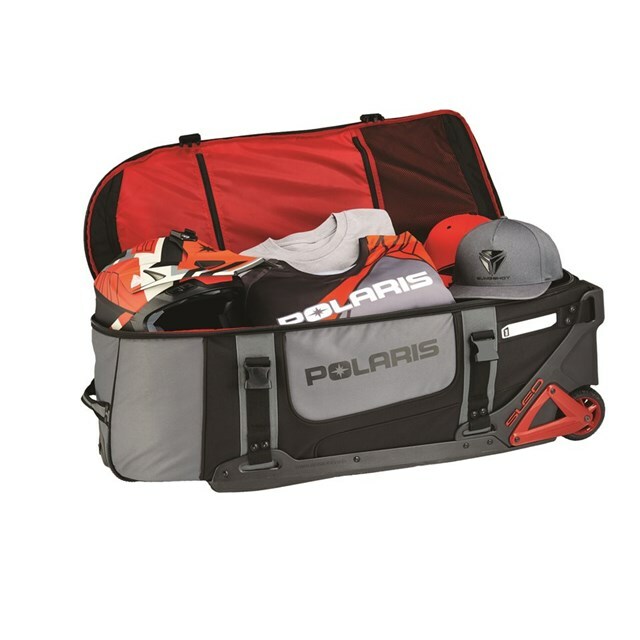 The large and in charge 9800 bag is big enough for all your gear including riding helmet and boots. The Structural Load Equalizing Deck (SLED) system disperses the load and allows you to stuff it full with confidence. A telescopic handle and heavy-duty oversized wheels ensures you can pull your load easily through the airport or uneven terrain at the ride site. 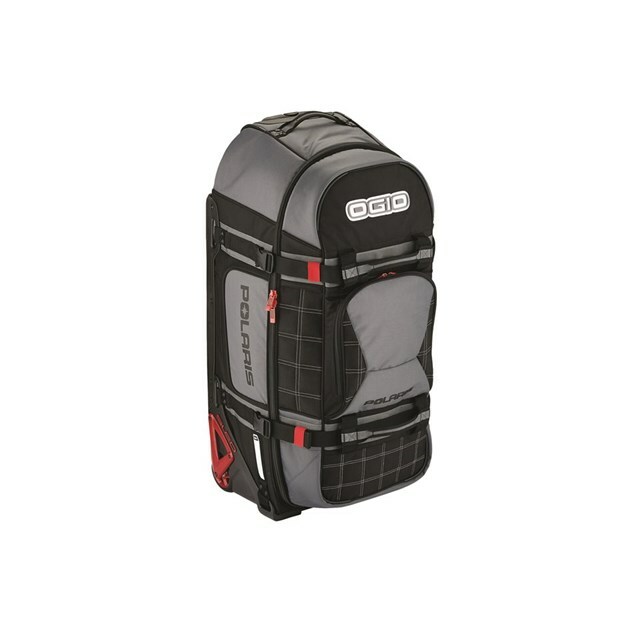 Packed with intelligent features, the OGIO® 9800 has set the industry standard for performance, durability and style. When it’s time to get rolling to your next adventure, this is the bag you need.